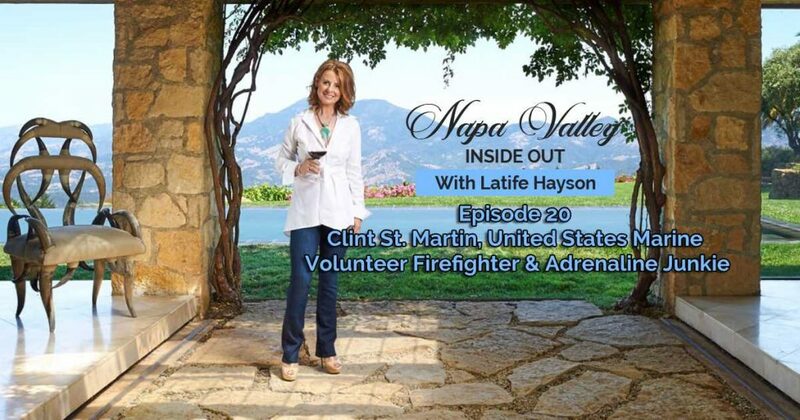 In this week’s edition of “Napa Valley Inside Out” I sit down with Clint St. Martin who truly has a servant’s heart. He joined the Armed Forces Post 9/11 and served in the United States Marine Corps as Motor Transportation Chief and Staff Sergeant at the age of 24. He was called to duty as a volunteer firefighter the night the 2017 October Wildfires broke out and wreaked havoc throughout Napa & Sonoma Counties. Clint is Head Liaison Representative for Sonoma County Devil Pups Youth Organization – this year he was awarded “Liaison Representative of the Year” for being the top performer in the country. We discuss his time in the Marine Corps, his experience in fighting fires with winds up to 70 miles per hour, his training to become a paramedic, fulfilling his dream of becoming a helicopter pilot and one more adrenaline-driven jaunt in China to save animals.